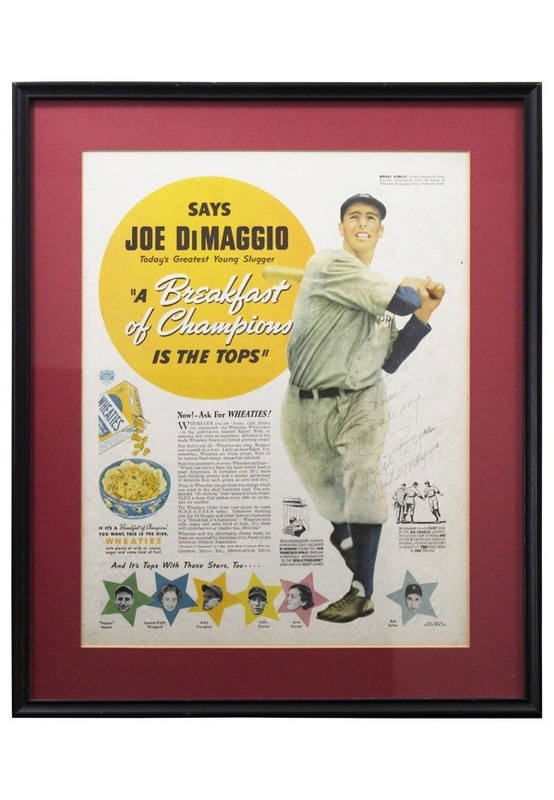 An approximately 14x17” framed Wheaties cereal display piece featuring Joe DiMaggio. The piece reads “SAYS JOE DiMAGGIO Today’s Greatest Young Slugger A Breakfast of Champions IS THE TOPS”. 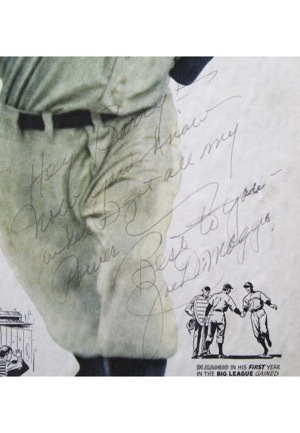 DiMaggio signed the piece with the added inscription “Hey Barry Now you know where I get all my power Best to you” and in our opinion the signature rates a near 7. Accompanied by a LOA from JSA.